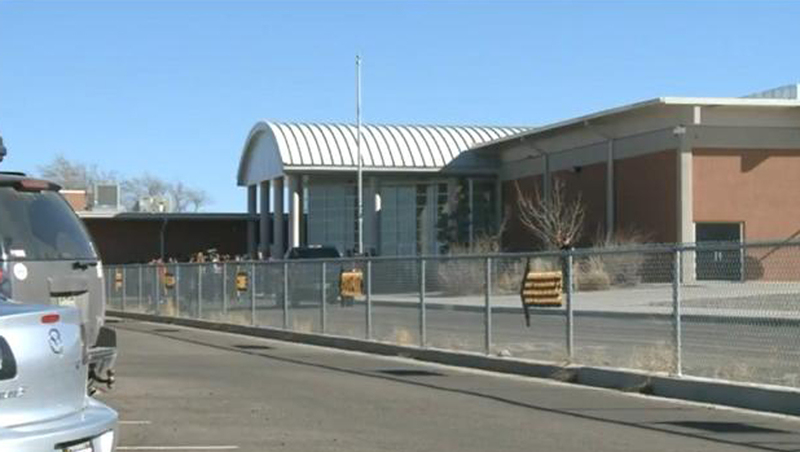 ROSWELL, N.M. - A 13-year-old boy who pleaded no contest to shooting two students in his middle school gymnasium will remain in state custody until he turns 21, reports CBS affiliate KRQE. On January 14, the then-12-year-old walked into Berrendo Middle School in Roswell, N.M., armed with a modified shotgun, according to the station. He opened fire in the school's gym, hitting students Kendal Sanders and Nathaniel Tavarez, who both sustained serious injuries. Tavarez was shot in the neck and face; Sanders was shot in the shoulder. After six hours of testimony from friends and family of both the shooter and his victims, a judge gave the boy the maximum sentence he could receive. In May, he pleaded no contest to aggravated battery with a deadly weapon. He will be in the custody of New Mexico's Children, Youth and Families Department for rehabilitation until he's 21. During the hearing, prosecutor Matt Chandler shared 911 calls from parents and school staff on the day of the shooting. He called the boy's plan - outlined in a notebook that he allegedly wrote in before the shooting - "methodical," KRQE reports. The writings allegedly described the 12-year-old's wish to get revenge on a student who had bullied him, using his father's gun, saying that by the time someone read the notebook, he would likely be in jail. Victims Tavarez and Sanders took the stand during the 6-hour hearing Wednesday. Sanders, who has scars and spots on her body from the shotgun blast, said she forgives her shooter but wants him to be in a facility where he can get help. Tavarez detailed his struggles following the shooting, including how a doctor informed him before a major surgery that he may never see again. The boy now has some vision in his right eye, according to the station. Both the shooter's father and grandfather addressed the court on hiss behalf. The shooter himself also spoke for the first time in court and apologized to his victims, KRQE reports. "I am very sorry for my actions," he said. "This is not what I meant to do. I am very sorry Kendal, Nathaniel."